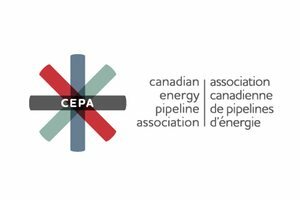 The Canadian Energy Pipeline Association (CEPA) represents Canada’s transmission pipeline companies who operate approximately 115,000 kilometres of pipeline in Canada and 13,000 kilometres in the United States. These energy highways move approximately 1.2 billion barrels of liquid petroleum products and 5.3 trillion cubic feet of natural gas each year. Our members transport 97 per cent of Canada’s daily crude oil and natural gas from producing regions to markets throughout North America. CEPA’s mission is to enhance the operating excellence, business environment and recognized responsibility of the Canadian energy transmission pipeline industry through leadership and credible engagement between member companies, governments, the public and stakeholders. Deliver auditable improvements against strategic imperatives related to CEPA Integrity First, Emergency Response and Pipeline Technology. Execute a defined, explicit stakeholder strategy that develops and leverages critical partner groups outside of CEPA across relationships and technology deliverables while supporting well-informed ambassadors and strengthening alignment across the industry. Influence tangible improvements to CEPA member’s business environment through strategic imperatives related to Landowner and Aboriginal affairs, and regulatory and environmental policies. Increase CEPA’s reach and effectiveness through improved governance, staff capacity, and more focused planning which increases predictability while sustaining responsiveness.